Brett’s a bright kid who realized he’d been clueless when the Sandy Teen Fellowship opened his eyes to the needs in his own back yard. Tenth-grader, Brett, is the kind of kid who teachers, friends, and parents describe as smart. His family has been active in their synagogue and its social action programs since Brett was young, so he grew up generally aware that some people are less fortunate than others. But it was through his involvement with the Federation’s Sandy Teen leadership training program that Brett learned there were hundreds of families in our area still living the nightmare of Hurricane Sandy’s aftermath. For a smart guy, he felt he’d been ignorant. Before his involvement in Sandy Teen Fellows, Brett thought the storm was nothing more than a bad memory. He recalls when it hit, his neighborhood lost power, and his family took refuge at his grandparent’s for a week, until it was restored. A month later, the family took a ride to look at the damage along the Jersey shore. Brett thought it all looked worse in person than on TV but was sure everything would be back to normal soon. He went on with his life and assumed everyone else would too. Two years later, after becoming a Sandy Teen Fellow, Brett found out that, for many, life had not returned to anything resembling normal. He says the group of Sandy Teens, most of whom had never met before participating in the program, learned about the core Jewish values of tzedakah (justice), chesed, (caring) and tikkun olam (repairing the world), and became closer during discussions about their individual responsibilities as Jews. But the most eye-opening part for Brett was going to Highlands to help rebuild a home destroyed by Sandy. As part of the Sandy Teens curriculum, the group evaluated social service agencies that assist people displaced by the storm, then decided where to award grants from a portion of funds the Jewish community raised for Sandy relief. The 2015 class of Sandy Teens helped complete reconstruction of a house in Highlands. At their graduation this spring, they threw a kitchen shower for the owners, who recently returned home after nearly three years. 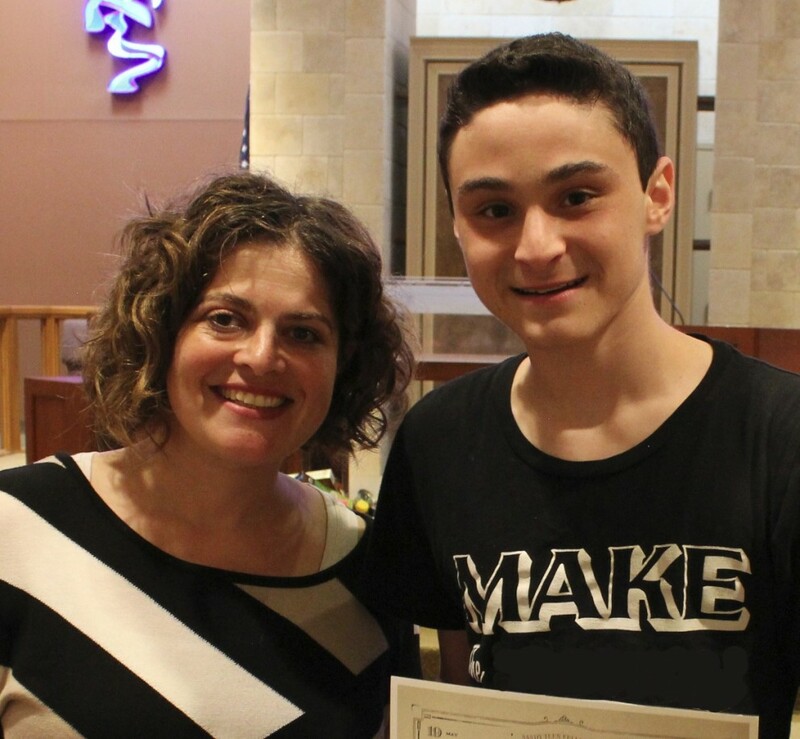 The Sandy Teen Fellowship is among many ways The Jewish Federation in the Heart of New Jersey inspires young people to embrace Jewish values of social justice and collective responsibility. Sandy Senior Fellows offers more in-depth leadership training along with options to focus on other social action causes, such as advocating for Israel. JTeam Teen Philanthropy teaches teens to evaluate the impact of community service providers and carry out grant-making on their behalf. JSERVE is an international day of teen service during which participants do hands-on service in the community at large. All teen programs are funded through the generous donations of Federation supporters. The Sandy Teen Fellowship receives additional support form the Jim Joseph Foundation and the Jewish Federations of North America. By investing in teen programs, The Jewish Federation in the Heart of New Jersey invests in the community’s future leaders. Because of the guidance and education they are receiving, Brett and his peers are thriving together. At the same time, they are insuring that people throughout this community will continue thriving together. Invest in teen programs that nurture future Jewish leaders, by making a contribution to the Jewish Federation. Donate here.